Merry Christmas and Happy New Year to everyone! 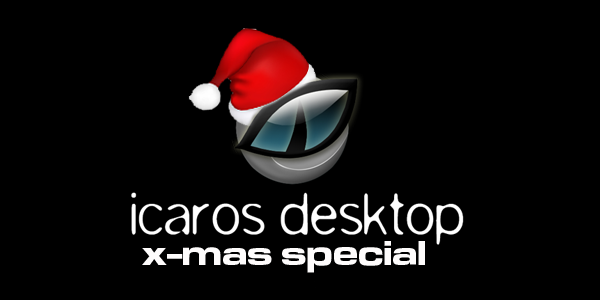 Icaros Desktop is proud to announce the immediate availability of Icaros Desktop 2.2 X-Mas Special Edition, a brand new version of your favourite AROS distribution, based on the latest AROS core files. 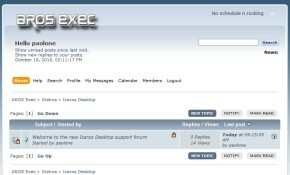 Although this isn't the final 2.2 release of Icaros Desktop, it already brings most of its new features, including the ability to run native (as usual), hosted on Linux (which has been already anticipated) and... even on Windows (surprise!). 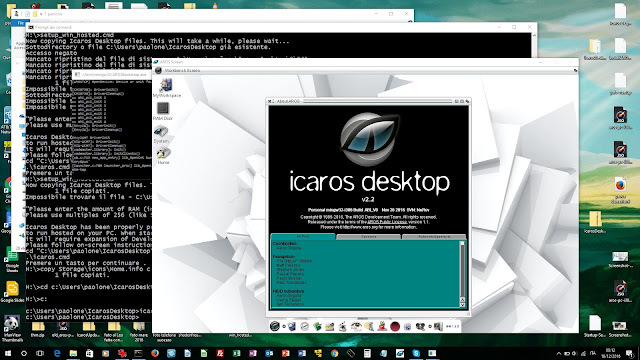 Yes, you don't need to complicate your life with virtual machines anymore: if you wish to test Icaros on your PC, you just need to run the installer script compatible with your current OS (no, Android and MacOS X aren't supported. Nor FreeBSD and Haiku, I'm sorry...), follow some very basic configuration steps, and your hosted Icaros environment will be ready to run like any other application! Obviously, there are some shortcomings here and there (Windows hosted version of AROS is highly experimental, you're warned), but people that still wish to make the most of Icaros Desktop can still install it on real hardware or a suitable virtual machine. 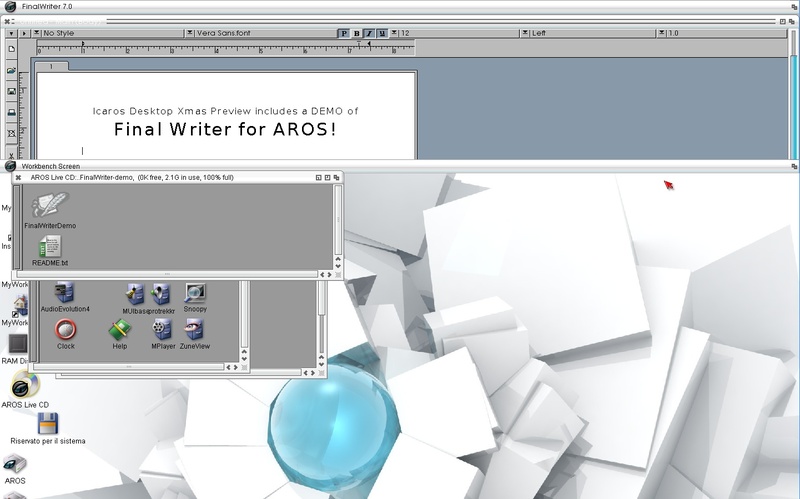 And that's not the only Christmas gift: in the Utilities drawer you will find an amazing demo version of Final Writer, brought to x86 AROS by T. Deters, Kalamatee and Deadwood. This demo is fully functional, except for saving: you can open and edit documents, but you can't save them. So... what are you waiting for? Head to our download page and grab your brand new special edition of Icaros Desktop, while it's hot.